Thomas Henseler has been named Corporate Food & Beverage Director and Diego Weiss as Corporate Hospitality Director for Solmar Hotels & Resorts, a collection of seven all-suite resorts. Jean Louis Magron comes back to the company as Property Management Director at Rancho San Lucas, the 834-acre private community that blends two resorts, real estate and a Greg Norman designed 18-hole golf course. As Corporate Food & Beverage Director for Solmar Hotels & Resorts, Thomas Henseler will spearhead the company’s culinary and wine offering by implementing innovative concepts and focusing on heightening the guest experience across all seven properties. Originally from Germany, Henseler has more than 30 years in the industry having served in multiple roles across the globe. As a certified MasterChef, Henseler was previously as Sous Chef, Executive Chef and Director of Food and Beverage at top brands such as Hilton Hotels, Shangri La Hotels, Le Meridien Hoteles Marco Polo Hotels Orient Express and Villagroup Resorts. Most recently he served as General Manager for both La Residence d’Angkor, Cambodia and La Residence Phou Vao, Luang Prabang, Laos where his notable accomplishments included an employee restructure that substantially reduced costs, as well as overseeing a seven-month renovation and implementation of new food and beverage concepts. With over 20 years of hospitality management experience, Diego Weiss comes to Solmar Hotels & Resorts with a strong commitment to service excellence in the Rooms Division. This highly-motivated professional previously held the position of Resort Manager at Esperanza an Auberge Resort for almost a decade where he directed all aspects of the hotel’s daily operation and served as an instrumental part in driving a hotel-wide cultural change in leadership by establishing Five Star and Five Diamond service standards. The newly appointed Corporate Hospitality Director will implement measures to enhance members and guests’ in-room experience. 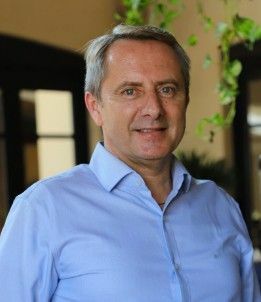 Jean Louis Magron is no stranger to the company, having previously served as General Manager at the Grand Solmar Land’s End Resort & Spa during its construction and grand opening. 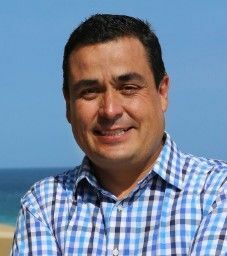 He now returns as Property Management Director at Rancho San Lucas to oversee the successful operation of both the residential and resort portfolio, while implementing the highest brand standards for this new real estate and golf venture. 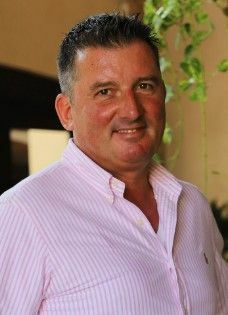 Prior to his experience with Solmar Hotels & Resorts, Magron held several positions as General Manager and Director of Food and Beverage for properties such as Hotel Camino Real Mexico City, Hotel Grand Melia Mexico Reforma, Hotel Hilton Los Cabos Golf & Beach Resort, and Hotel Dreams Los Cabos, among others.